I’ve extremely thick dense hair and with repeated chemical treatments like rebonding & coloring, my hair become very frizzy & dry. I’ve tried many hair care products from different brands and luckily found a few products that work really well for my hair. Today I’m going to share the review of the Wella Enrich Moisturizing Treatment which worked wonderfully for my thick, frizzy and chemically treated hair. 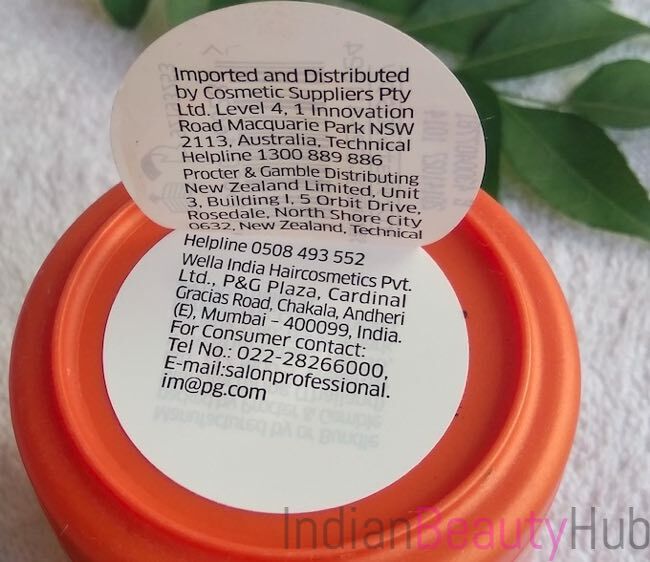 Packaging: Wella Enrich Moisturizing Treatment comes in an orange plastic jar with a screw cap. The packaging is sturdy, spill-proof and travel-friendly. The product related important information is also given on the jar. 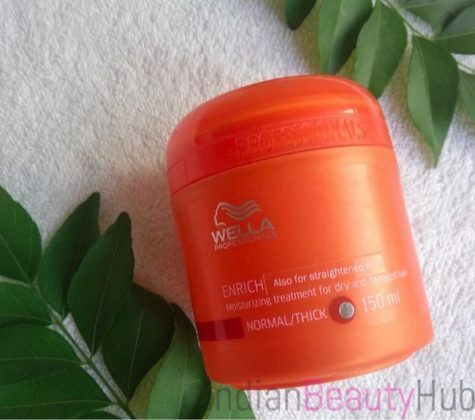 Price & Availability: The price of the Wella Enrich Moisturizing Treatment is Rs.600 for 150ml. It is easily available at leading online shopping websites like Amazon.in, Nykaa.com, Purplle.com, etc. 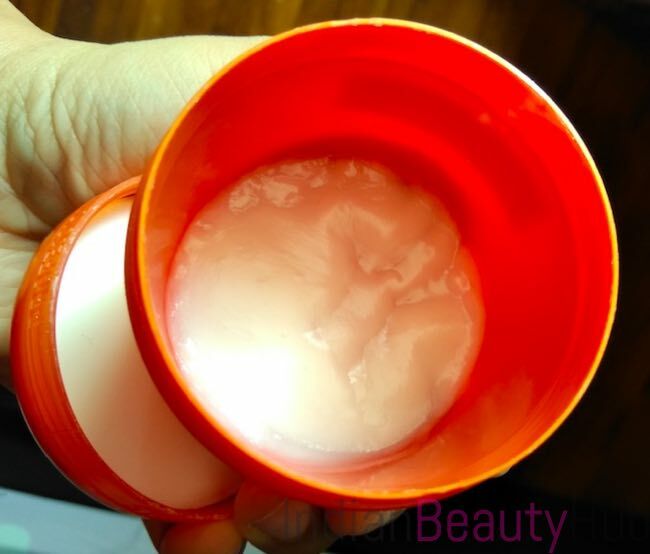 My Experience: Wella Enrich Moisturizing Treatment comes in a creamy white color and has a silky smooth texture. It has very mild fragrance which is quite pleasant. 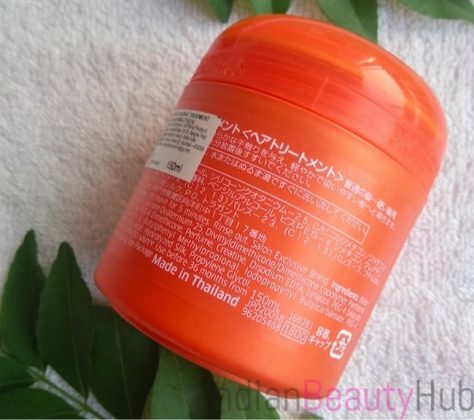 After shampooing my hair, I take a generous amount of this hair mask and apply it evenly on my hair avoiding my scalp. It spreads very easily on the wet hair and doesn’t feel sticky at all. I generally leave it on for 5-7 minutes and then rinse my hair with normal tap water. It can be easily rinsed off without leaving any residue behind. 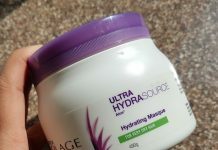 Each time I use this hair mask, my hair feel very moisturized, manageable and frizz free. It does a great job in moisturizing my super thick hair and keeping my mane manageable for good 3 days (or till next hair wash). I tried many hair masks in the past but this Wella hair mask is the only one that worked amazingly for my hair. It deep conditions the dry & rough hair and gives soft, shiny and manageable mane that you would love to flaunt. It doesn’t weigh down hair. 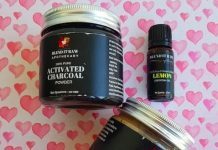 It is safe to use on chemically colored hair. 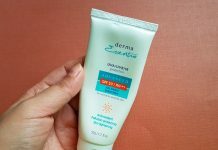 Suitable for extremely dry, thick and frizzy hair. Ideal to use by both men & women. Not suitable for fine hair. I absolutely loved Wella Enrich Moisturizing Treatment for Dry & Damaged hair. It moisturizes dry hair, controls frizz and gives shiny manageable hair for good 3-4 days. I will definitely continue using it till I found some better option. Highly recommended for thick, dry and chemically treated hair. Oh great!!! Need to try this for my hair as I have very frizzy dense hair and moreover this fits in my budget as well!! thanx Rakhi!! 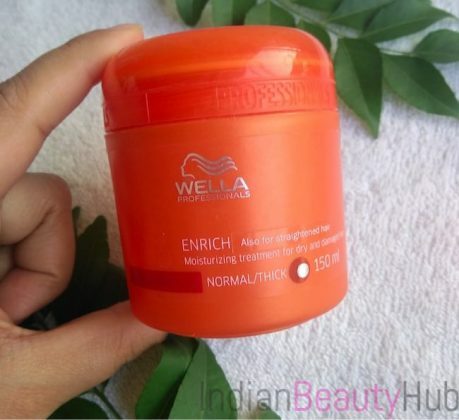 I hav’t tried any product of wella till date but will try this soon.Thanqq soo mucg for giving ur review to make ur viewer decide easily that they want to buy the product or now .